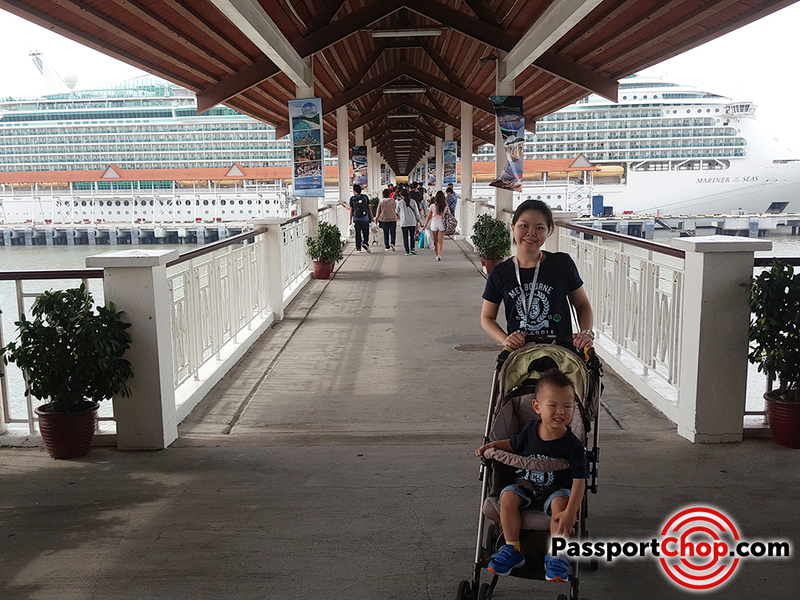 Going on a cruise is one of the easiest way to travel with a kid. There is no long flights where you may have to manage your restless child and no packing and unpacking as you change hotels every few days. 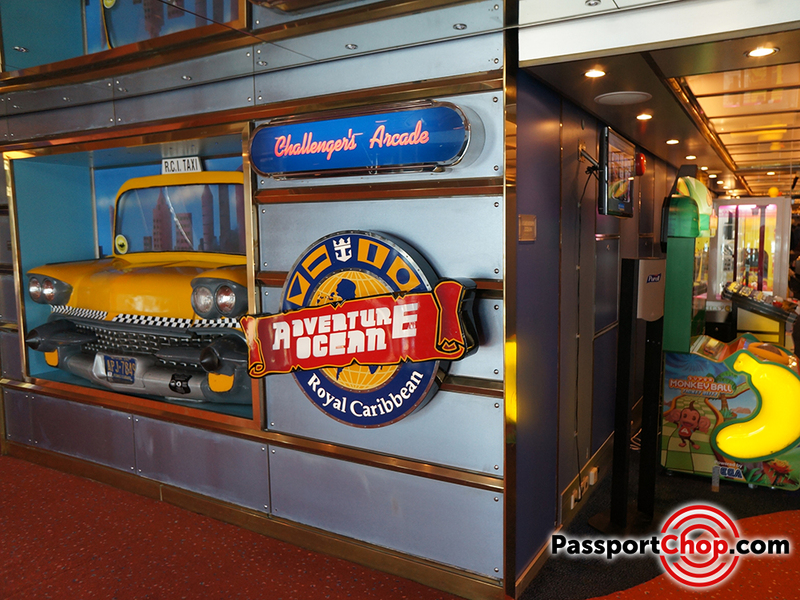 With a cruise, it all comes down to what family-friendly activities you can do with your child during the holiday. 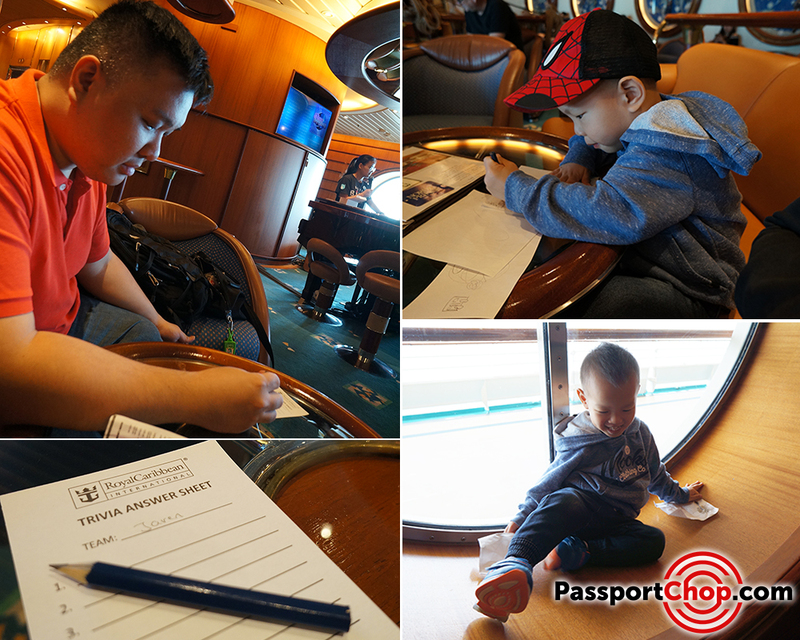 We checked out the Royal Caribbean Mariner of the Seas recently for a 4D3N cruise to Port Klang and I have to say that our short holiday with Royal Caribbean was packed with exciting family-friendly activities that delight not just our child but also the adults too! 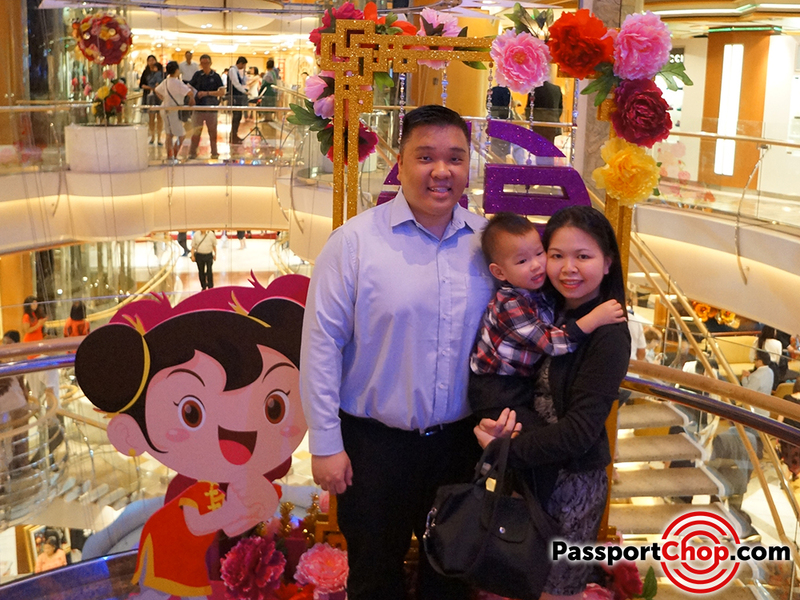 After our Royal Caribbean Mariner of the Seas cruise ship sets sail at 4.30pm, we made our way to “chope” the best place along the Royal Promenade to catch the DreamWorks Move It, Move It Parade. The Royal Promenade is a long line of shops so park yourself in front of any of the shops and you should be able to catch a good view of the Parade. If you want to chope a seat, you should go earlier to reserve a space at Cafe Promenade, get some coffee/tea and snacks (complimentary) and wait. At the Dreamworks Move It, Move It, Parade, you get to see your favorite DreamWorks characters (mostly those in the Madagascar and Shrek movies) dance along the parade route. After the Parade, take a stroll along the Royal Promenade and check out the various luxury bags and watches on display. You may want to save your shopping for the various scheduled sales periods during the cruise. During our next few days of cruising, there are always pop-out sales event e.g. there was a Swarovski and Sunglasses Sale at 5.30pm almost immediately after the Dreamworks Move It, Move It, Parade at 5pm on Day 1. After a busy afternoon of boarding, assembly drill, DreamWorks Parade and shopping along Royal Promenade, it would be almost time for dinner. If you prefer sit down dinners with food served to you, do ensure that you make reservations for My Time Dining with the maitre d’ after you have boarded the ship earlier that afternoon. There are 2 seating at the Dining Room at Deck 5 with the first starting at 5.30pm and the second seating starting at 8pm. If you missed either, you can always check out the buffet dining at Windjammer Cafe on Deck 11. For us, we chose to have our dinner at the Dining Room where we were served by our very attentive waiter. While there is a kids menu available, he recommended for our son to eat from the adult menu instead as most of the food served in the kids menu are fried e.g. pizza, french fries, fried noodles. We ordered the chicken breast for our kid and the waiter even made an effort to cut it into small pieces so it will be easier for him to eat! That is indeed very impressive service! 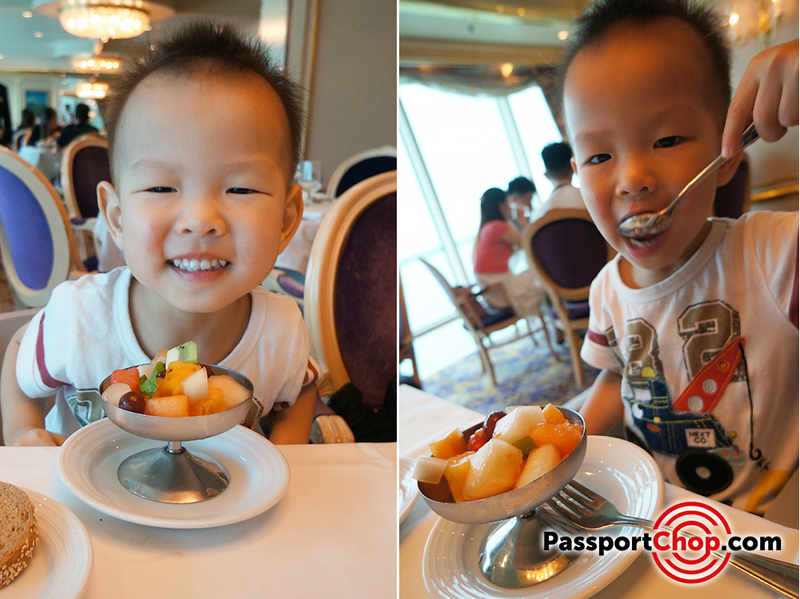 Our son’s favorite was the bowl of fresh cut fruits served before every meal. This is not in every adult menu. You will have to ask the waiter if they have such fresh cut fruits available. If you choose to eat the Dining Room for dinner every evening, you will be served by the same waiters who will remember your dietary preferences and make recommendations and adjustments accordingly. 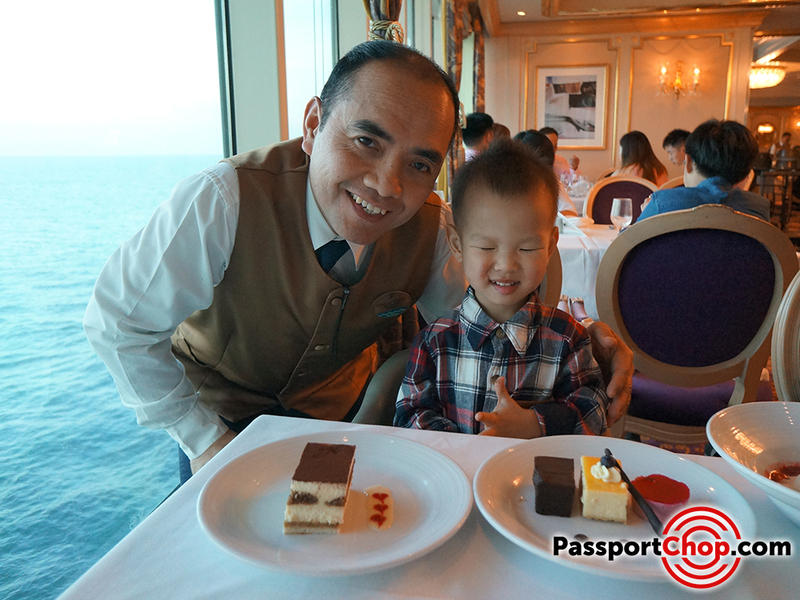 Our son was so happy with our waiter as you can see in the picture below (taken on the last dinner during our cruise with Royal Caribbean Mariner of the Seas). 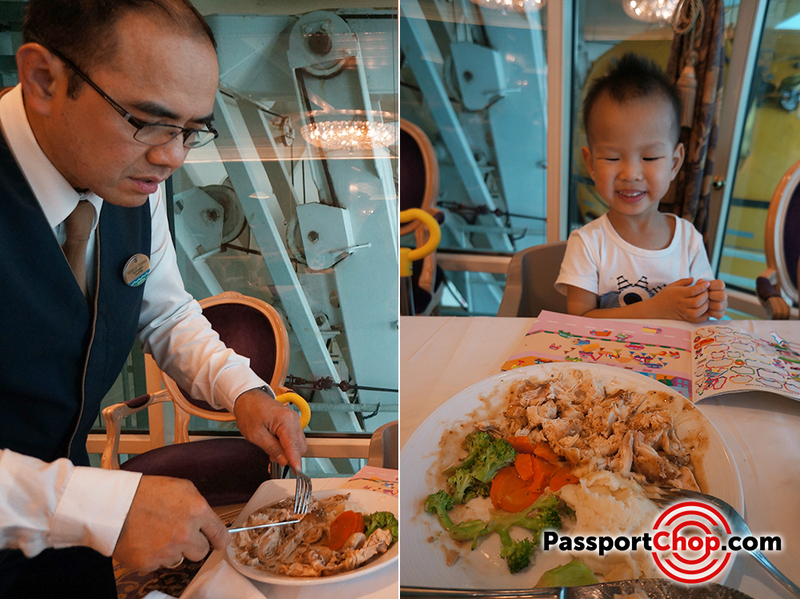 This consistency in service and yummy food served at the Dining Room at Royal Caribbean Mariner of the Seas helps to keep anxious children at ease especially with the change in dining environment (from home). After dinner, it will be almost time to catch the key highlight of the Royal Caribbean Mariner of the Seas performances – Ice Under the Big Top. 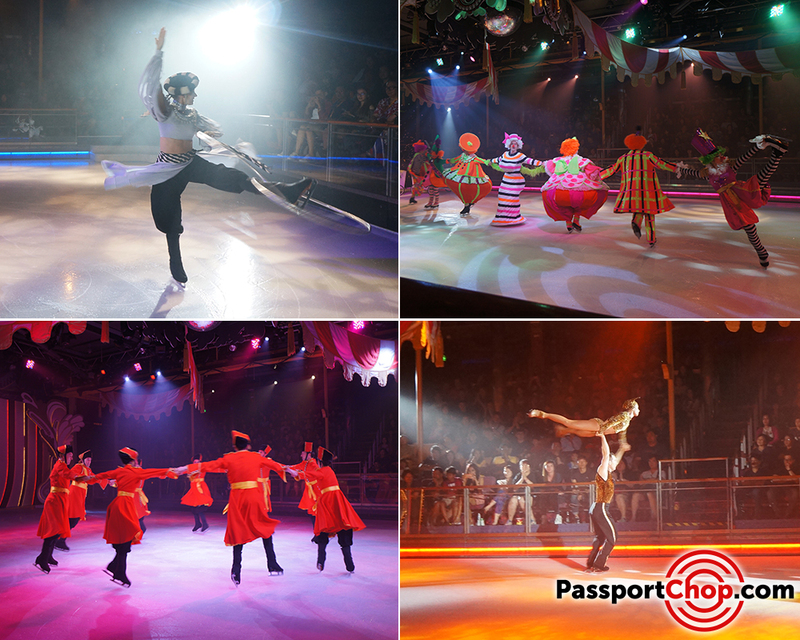 The “Ice under the Big Top” performance is not to be missed when you are cruising with Mariner of the Seas – the hour long show features death defying ice skating acts as well as comedic clown skating performances. Doors open at 8.15pm and the showtime is at 8.45pm. However, you do have to queue early to get your preferred spot at Studio B ice skating rink. The 8.45pm showtime is catered for first seating Dining Room guests. If you are dining in the second seating (i.e. 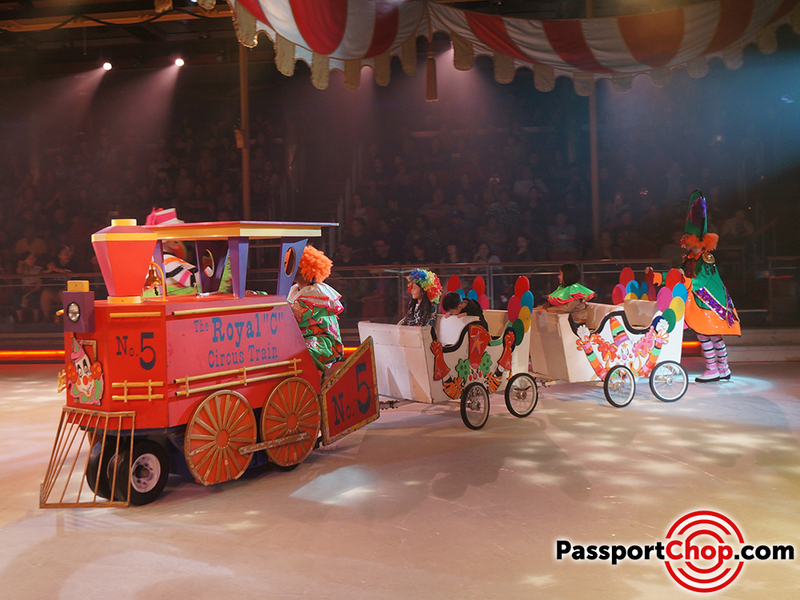 8pm), you can catch the Ice Under the Big Top on Day 3 of the cruise at 1pm and 3pm. And that pretty much concludes Day 1 of the cruise. As you can see, there are lots to do during just Day 1 of the cruise. On Day 2, the Mariner of the Seas arrived at Port Klang, Malaysia at 8am. 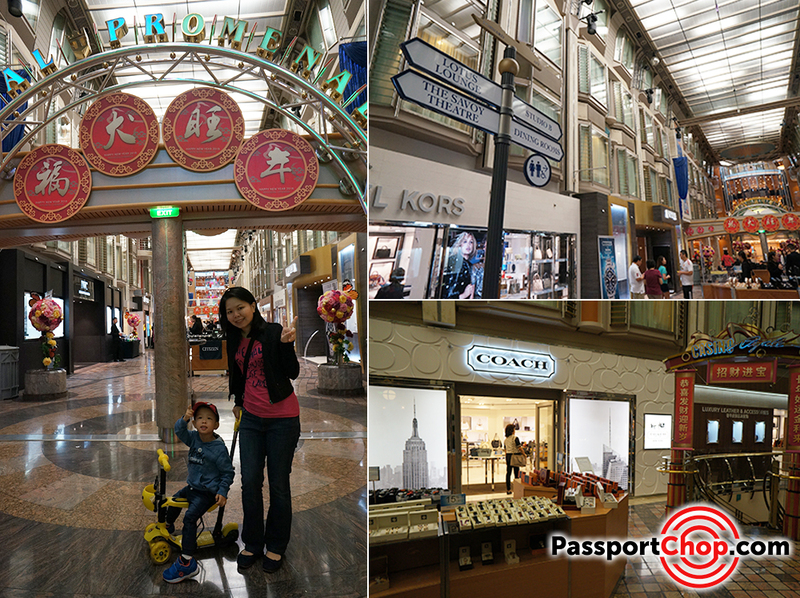 We signed up for a Shore Excursion with Royal Caribbean which took us to Port Klang’s Egyptian-themed shopping mall Sunway Pyramid mall. For US$35.75 (adult) and US$25.75 (child), the tour bus took us to Sunway Pyramid mall and dropped us there for us to explore the mall for 7 hours before picking us up and bringing us back to the ship. The Sunway Pyramid mall is huge with over 800 stores divided into 5 districts where you can find high fashion, shoes, jewelry and toys. There are lots of restaurants to choose from too. If you don’t intend to shop, you can check out Sunway Lagoon just beside the mall which features a water park, thrilling rides, wildlife area – amusement park entrance fees and your meals are not included with the price. 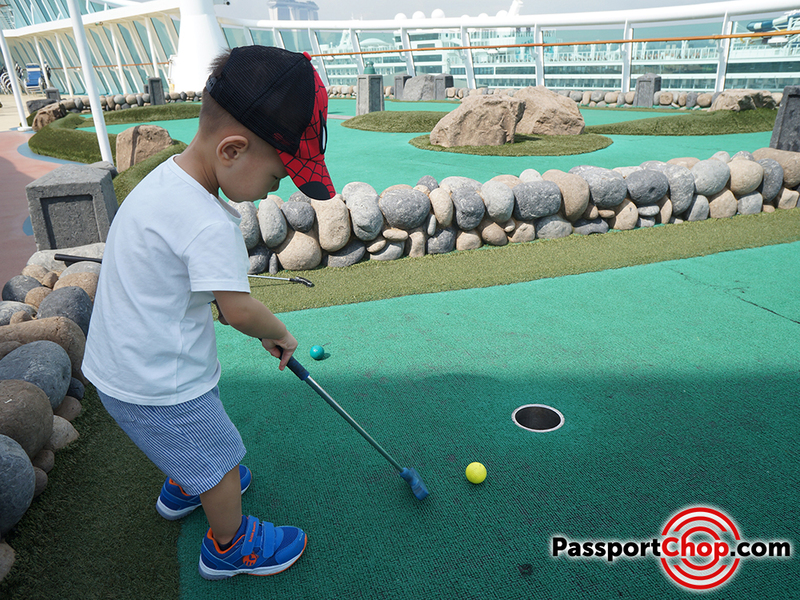 If you intend to check out the cruise facilities instead of going to Port Klang, there is lots to do especially for the little ones. There are 3 sessions daily: Morning Session (9am to 12noon); Afternoon Session (2pm to 5pm) and Evening Session (7pm to 10pm) and they engage the kids in age-appropriate activities e.g. coloring for the younger ones and ball games for the older ones. To join the Aquanauts, your kid will need to be diaper-free and fully toilet-trained and 3 years as at the day of the cruise. 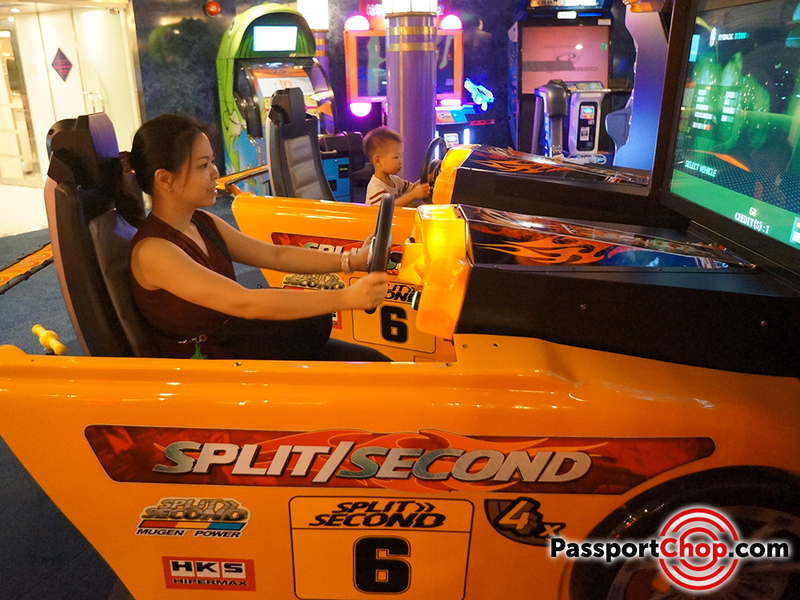 Our kid was not 3 years old yet – nonetheless, we checked out the Challenger’s Arcade where there are lots of arcade games to play or pretend to play (since at this age, all they want to do is turn the steering wheel and not actually play the game :-)). Our son spent a lot of time “driving”! This is his favorite part of the cruise! There are lots of meet and greet opportunities during Day 2 with DreamWorks characters e.g. Princess Fiona from Shrek, Alex and Gloria from Madagascar. Check out your Cruise Compass for the scheduled meet and greet timings. You don’t have to bring your own floats. 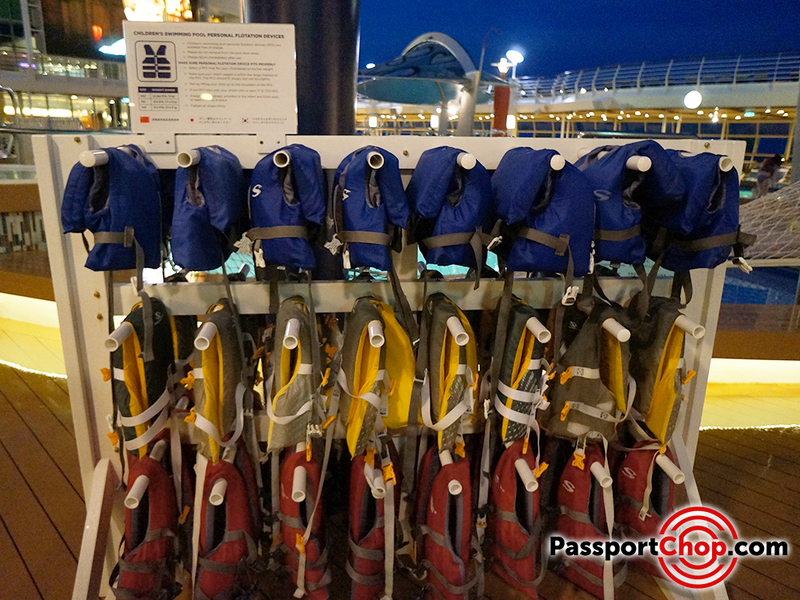 There are float jackets available for all ages – so pick one and enjoy swimming in one of the many swimming pools onboard Mariner of the Seas! We started out day out at sea with a DreamWorks Family Breakfast. This is a paid activity and reservations are required. 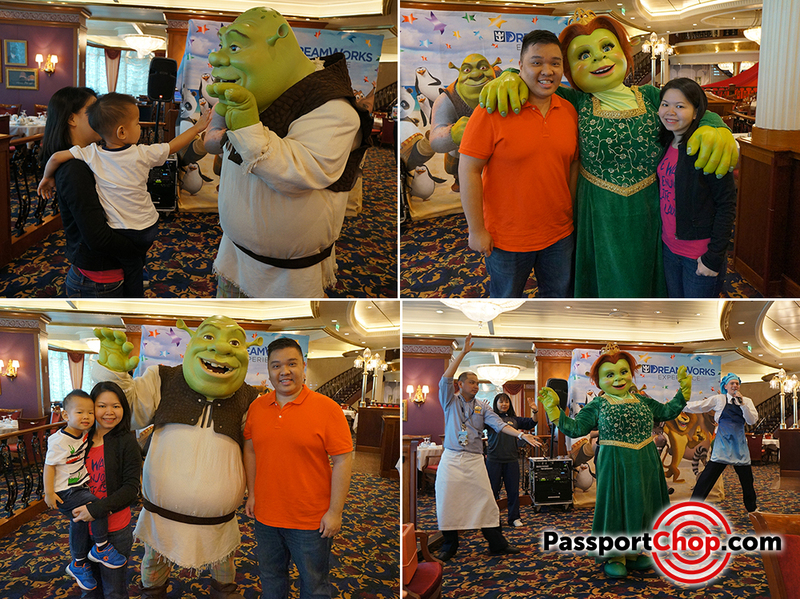 You will need to pay US$10 per person for this DreamWorks Family Breakfast experience where you get to enjoy breakfast and do meet and greet with DreamWorks characters. 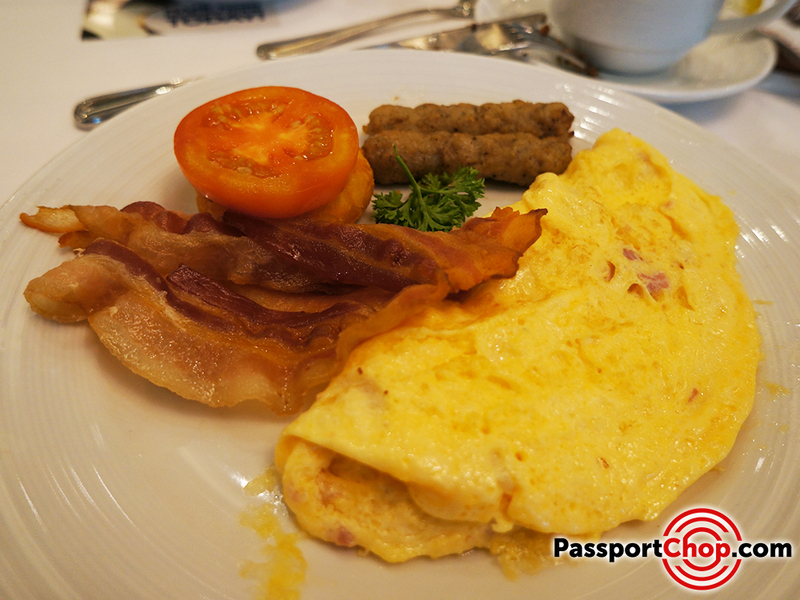 Do note unlike the Chops Grille and Giovanni’s Table where you top up for steak, fine Italian dining and lobsters, the food served during the DreamWorks Family Breakfast is the same as what you will eat at Windjammer Cafe or at one of the Dining Room. 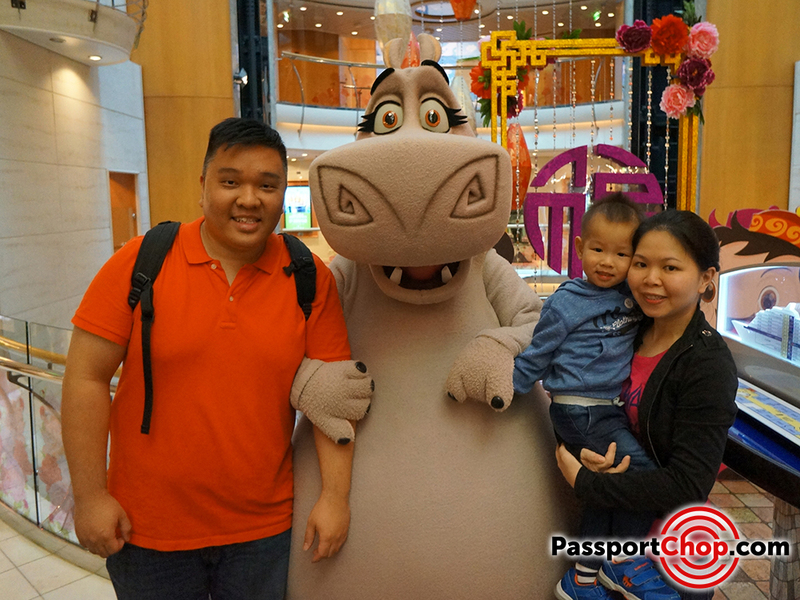 What you are paying for is the exclusive meet and greet opportunities with the DreamWorks characters! And they will perform short dances and songs for you while you dine too! If you are a trivia fan like me, then check out the scheduled Quiz and Trivia held at the Schooner Bar. While I am seriously answering the trivia questions, my team mate i.e my son is drawing his stuff and playing around the bar (not exactly a very helpful team mate!). Don’t miss the mini-golf too. There are lots of holes to play. No reservations required. Just drop by, grab a golf stick and golf balls and hit them around the golf course! 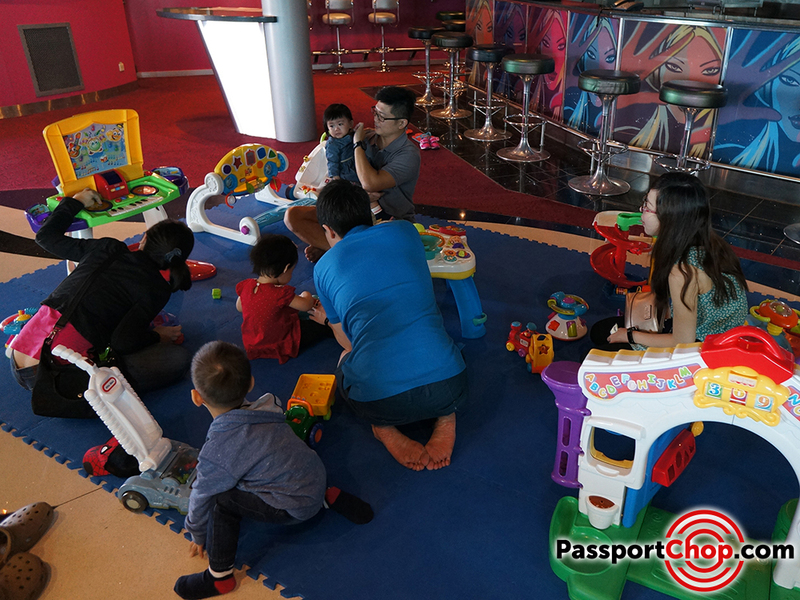 If you have a very younger baby, then this room just beside the Challenger Arcade will be perfect as it is filled with baby toys for your baby/toddler to play with. This is free and no reservations required. We rounded off our cruise with Formal dining at the Dining Room! And we return to our cabin to find a towel peacock which got destroyed in seconds by our boy 🙂 Every night as your stateroom attendants turn down your room, you can expect to find towel animals! 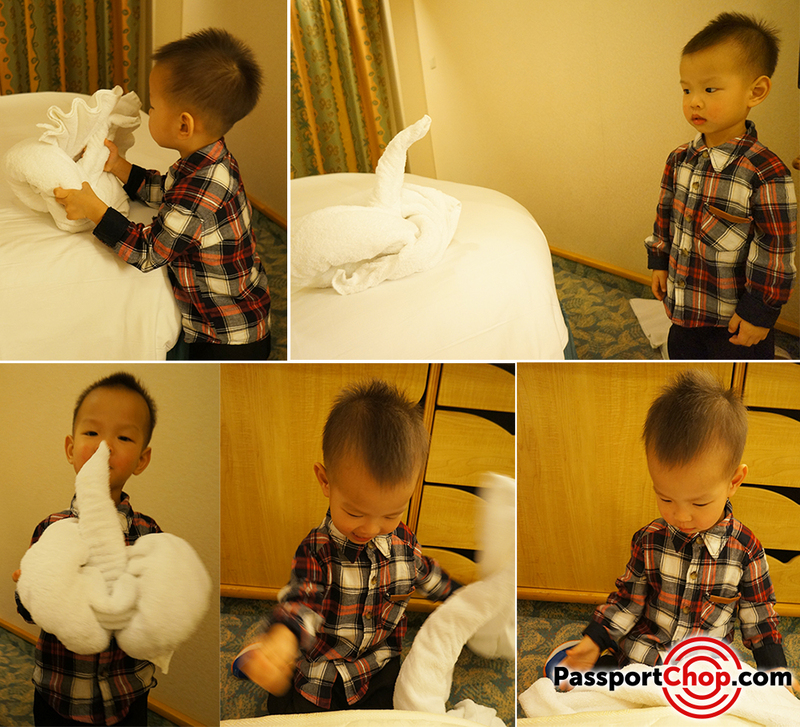 There are workshops that teach you how to fold these towel animals too – look out for them in your Cruise Compass. And that concludes our short cruise with Royal Caribbean Mariner of the Seas. 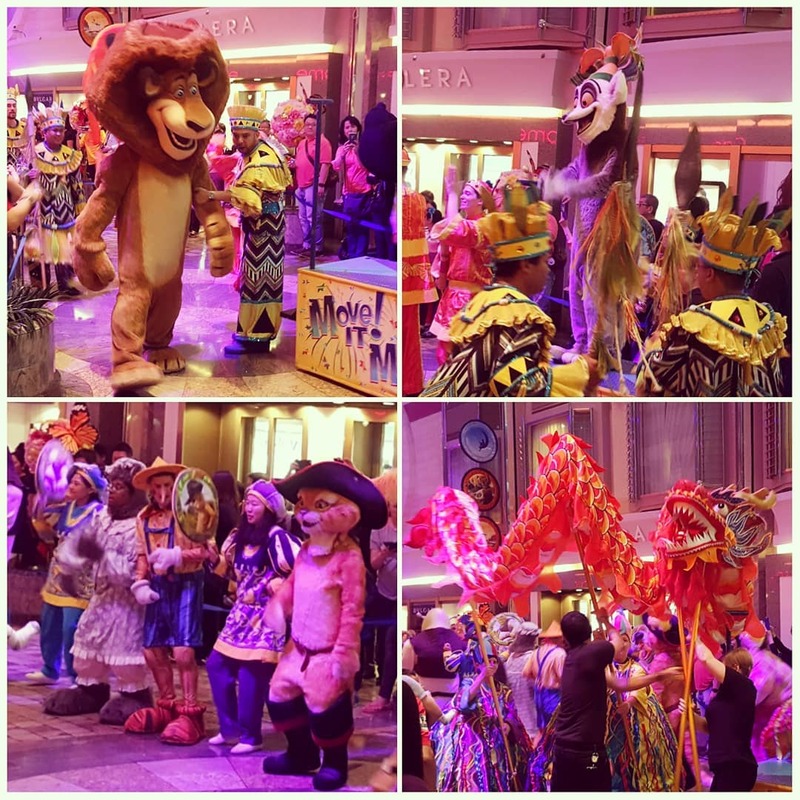 There are so much to do during the cruise and we will definitely plan for another cruise holiday soon!